Hundreds of people attend funeral for Rabbi Haim Yehiel Rotman, who died from injuries sustained during synagogue massacre. Hundreds of people are attending tonight's funeral for Rabbi Haim Yehiel Rotman, who passed away earlier today as a result of his injuries from the Har Nof synagogue massacre last November. The funeral set out from the Kehilat Bnei Torah synagogue, where the attack took place, and will end at the Givat Shaul cemetary. 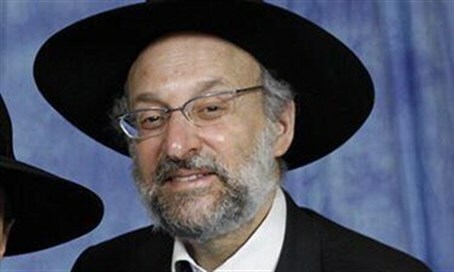 Fifty-five-year-old Rabbi Rotman suffered severe axe wounds to his head, and had been in a vegetative coma since the attack. He is survived by his wife and ten children.